Europe's first street tramway was launched in Hamilton Square in 1860. Early forms of public transport developed out of industrial haulage routes and from the omnibus that first ran on public streets in the 1820s. They used the newly-invented iron or steel rail or 'tramway'. Horse-cars on tramlines were an improvement over the omnibus, as the low rolling resistance of metal wheels on iron or steel rails allowed the animals to haul a greater load for a given effort, as well as offering passengers a significantly smoother ride. The horse-drawn streetcar combined the low cost, flexibility, and safety of animal power with the efficiency, smoothness, and all-weather capability of a rail right-of-way. George Francis Train was an eccentric visionary - almost certainly the inspiration for Jules Vernes Phileas Fogg, following two circumnavigations of the globe in 1870 and 1880 but he was also an astute and energetic businessman. Born in Boston, Massachusetts, he had watched the development of street tramways in New York and New Orleans. 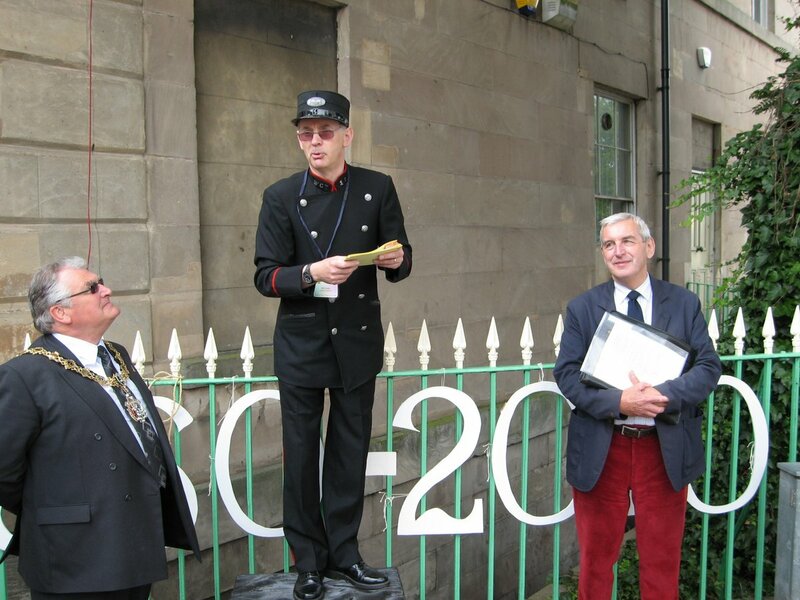 In 1860, he successfully established the horse tramway company in Birkenhead. When he later formed a tramway company in London - in 1861 - it was claimed that the rails stood above the road surface and obstructed other traffic; he was arrested and tried for "breaking and injuring" a London street. But the tramways stayed, and became the model for many successful urban tram systems throughout Europe. Hamilton Square is a very handsome early 19th century square in the centre of Birkenhead. 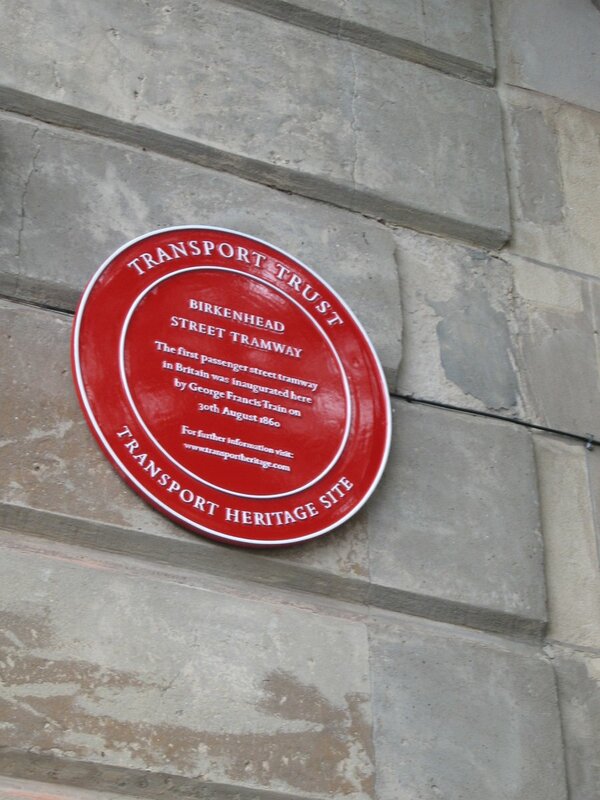 The first street tramway in Europe was inaugurated here by Train himself and the ceremony was recorded in a photograph at the corner of Price Street and Hamilton Square. The buildings in the picture survive. Nearby the Shore Road Pumping Station, now a museum, houses a steam pumping engine used to pump water and smoke from the Mersey Tunnel. 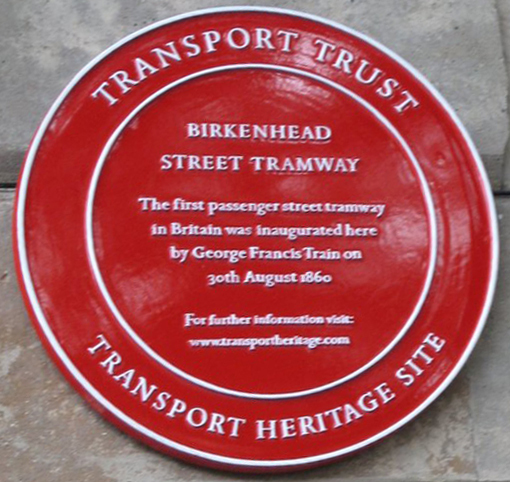 Also nearby is the Birkenhead Transport Museum with, in particular, a collection of local tram-cars. By Road: Hamilton Square in the centre of Birkenhead but there is no trace of the tram lines. 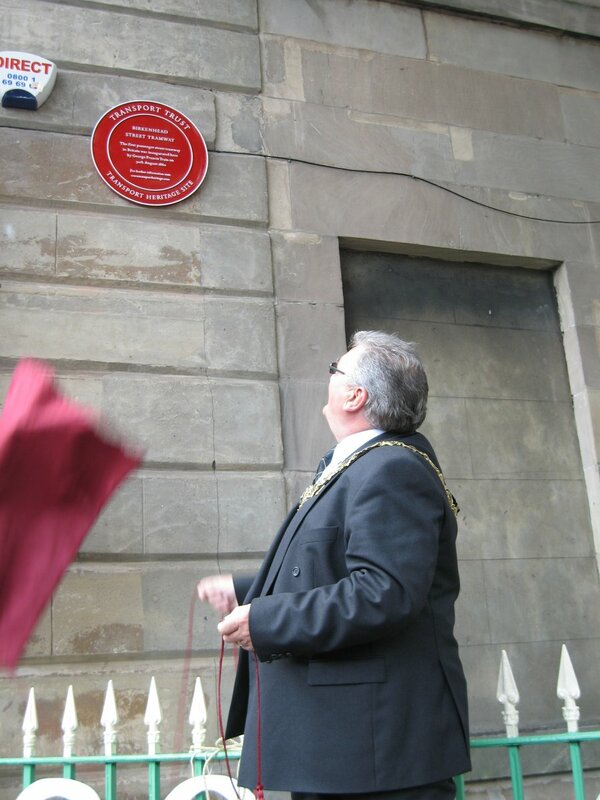 The location is marked by a Red Wheel plaque at the south west corner of the square. By Rail: By Merseyrail to Hamilton Square.